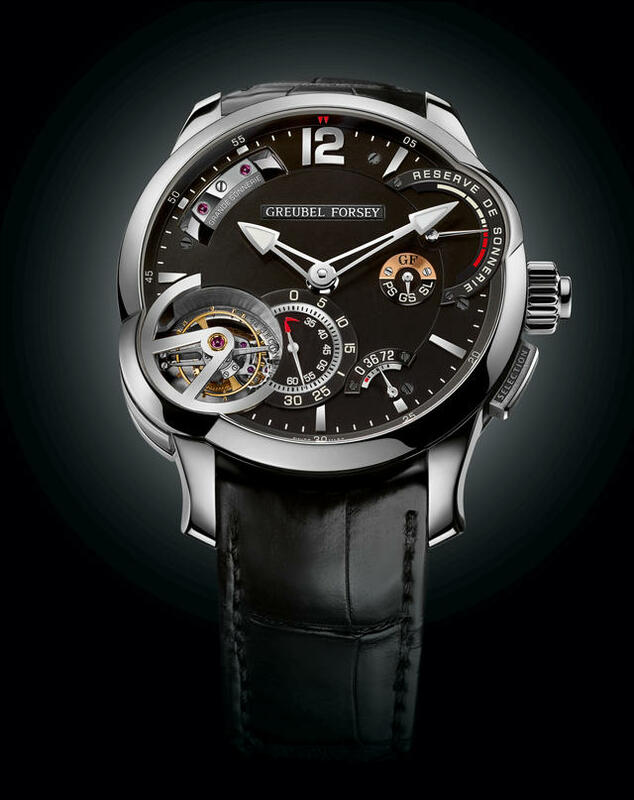 As the first-ever Greubel Forsey watch with a repeater function, the Greubel Forsey Grande Sonnerie could be considered a pinnacle of the eleven-year-old brand’s offerings given the complex nature of a full-on grand sonnerie. As a work in progress ever since Robert Greubel and Stephen Forsey joined forces as a watchmaking team to be reckoned with, this 2017 debut is the result of more than a decade of research and hands-on watchmaking. With 935 components, the 43.5mm white gold or titanium-cased Greubel Forsey Grande Sonnerie is equipped with a silent striking regulator and a Tourbillon 24 Secondes. The watch’s exceptional repeater power reserve enables it to run for about twenty hours in “Grande Sonnerie” mode, one of three chiming options indicated on the dial. These options are: Grande Sonnerie (which strikes the hours and the quarters in passing), Petite Sonnerie (which only strikes the hours in passing) and Silence (which does not strike in passing). 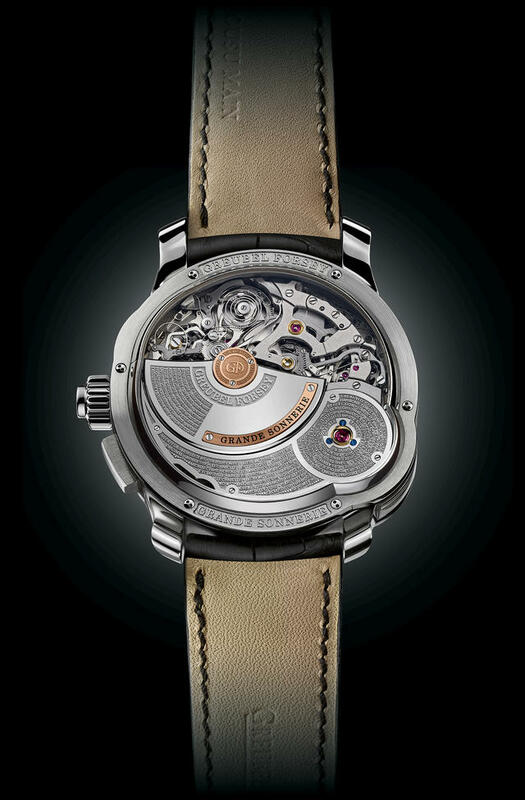 Greubel Forsey has developed its own acoustic resonance cage (made from titanium) to ensure a rich crystalline chime. 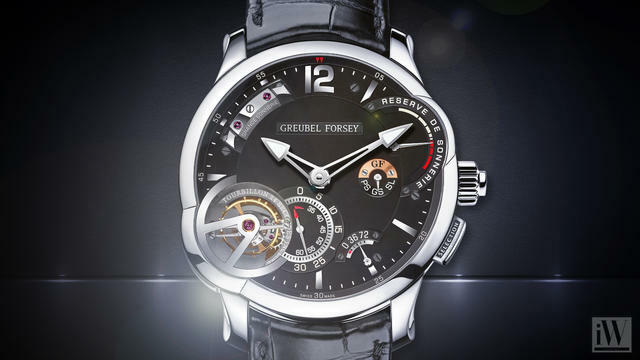 The Greubel Forsey Grande Sonnerie timekeeping power reserve is a robust 72 hours, and the firm expects to make about five to eight of these watches per year. iW will report in greater detail about this new watch following the SIHH.